I'm a Victorian freelance writer & photographer living in the Macedon Ranges north of Melbourne. 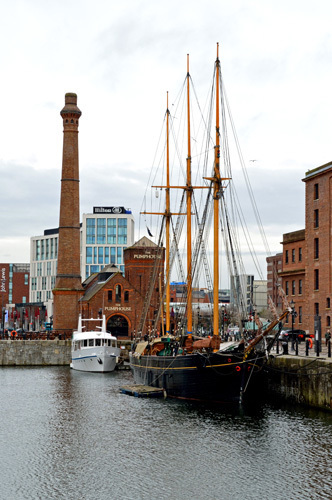 Liverpool's Albert Dock incorporates so many aspects of this great cities history it's no surprise to learn that it is the major tourist attraction in the city and, apart from London, the most visited multi-use attraction in the UK. More than that though, it comprises the largest single collection of Grade 1 Heritage Listed buildings anywhere in the United Kingdom. 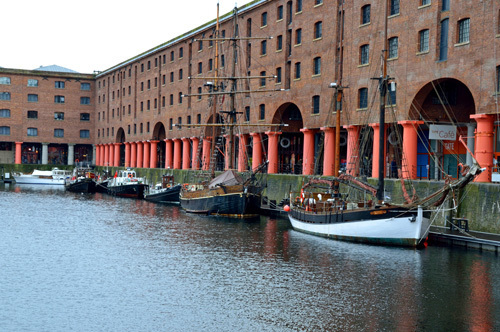 The design of the Albert Dock dates back to 1837 when Jesse Hartley drew up plans for a combined dock and warehouses based on the success of a similar system at London's St Katherine's Dock. With the plans approved construction took place from 1841 to 1845. The dock was officially opened on 30th July 1846 by Prince Albert, consort to Queen Victoria and after whom the dock was named. Interestingly this was the first time in Liverpool's long history that any member of the Royal Family had made a State visit to the city. In 1848 the world's first hydraulic cargo handling system was installed and over the next 10 years the complex was upgraded and expanded. 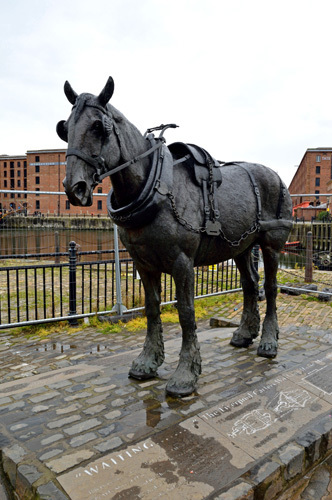 Albert Dock was a show-piece of international commerce handling very large volumes of valuable cargoes including cotton, tea, silk, tobacco, ivory and sugar in an environment that meant perishable goods could be kept better for longer. 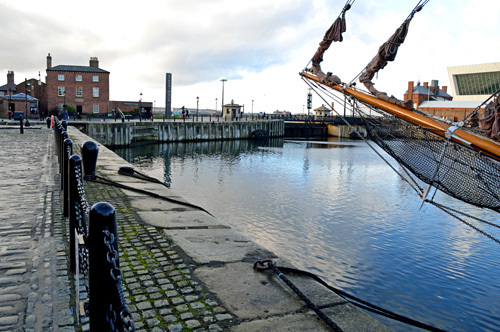 Within 20 years of its opening though the Albert Dock began to slip into decline, overtaken by the arrival of the steam ship which couldn't be handled as efficiently as the sailing ships for which it had been designed. During World War 2 the dock was home to units of the British Atlantic Fleet and was heavily bombed, particularly in the May Blitz of 1941 when, over 7 consecutive nights, 681 German bombers dropped 2,434 bombs and incendiary devices destroying 69 of the ports 144 cargo berths. Post war the extent of damage together with financial difficulties meant that use of the docks declined and their future looked very bleak. Numerous ideas were floated to reinvigorate the area but none came to fruition and Albert Dock eventually closed in 1972. 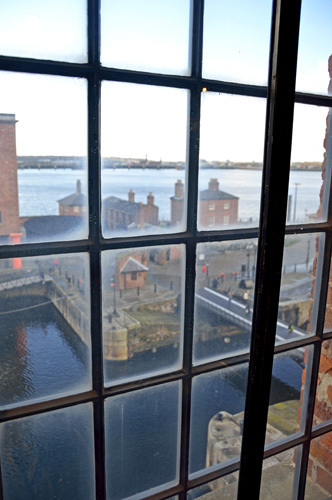 Redevelopment as a tourism precinct began in 1981 and the re-born Albert Dock was officially reopened in 1984. 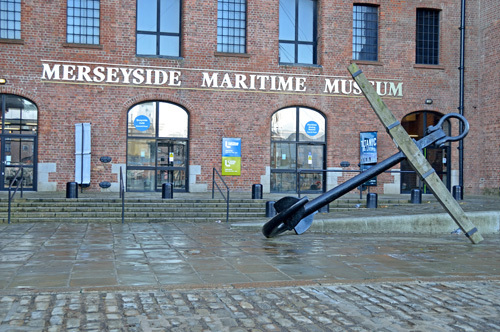 Today it's a virtual time capsule of British maritime history, home to the Merseyside Maritime Museum and contemporary exhibitions like The Beatles Story and the TATE Liverpool, displaying works from the national collection of British art dating from 1500 to the present day. It's also home to a great selection of bars and restaurants. For mine though it's all about the history and in particular those aspects which I can relate to back home in Australia. For example in 1850 the White Star Line was established specifically to carry emigrants to Australia and later became infamous when it 'unsinkable' liner the TITANIC was lost in April 1913 with the loss of 1,684 lives. Or that in 1851, at the height of the gold rush, more emigrants sailed for Australia from Liverpool than any other port in the world. 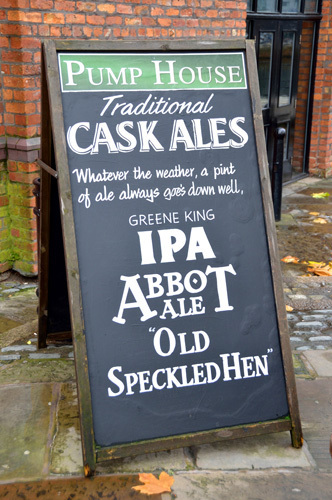 Whatever angle you look at it from a visit to Albert Dock is likely to be a very enlightening experience.